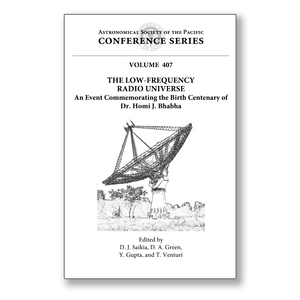 A strong resurgence of interest in low-frequency radio astronomy in the past few decades has led to addressing many of the outstanding and challenging astrophysical and technical problems and issues. The GMRT has been in operation for close to a decade. Early results have been reported from LOFAR. The next generation of telescopes such as the LWA, MWA, MeerKAT, ASKAP and SKA should provide exciting challenges, results, and opportunities. To discuss recent results and astrophysical problems as well as a range of technical issues at low radio frequencies, a conference and workshop was held at the National Centre for Radio Astrophysics of the Tata Institute of Fundamental Research. This event commemorated the birth centenary of Dr. Homi J. Bhabha, who contributed immensely in both the sciences and the arts. There were approximately 130 participants from over a dozen countries. The conference brought together experts with a wide range of interests from major observatories and institutions across the world as well as younger research workers largely from within India. There were over 100 papers presented, including several extensive reviews, on a large variety of topics including low-frequency surveys and cosmology, extragalactic neutral hydrogen and OH, extragalactic radio sources, clusters of galaxies, our Galaxy, pulsars, transients and high-energy sources, Sun and planetary studies, and instrumentation and techniques. The book provides an overview of research at low radio frequencies and should be of interest to a wide spectrum of students and researchers.